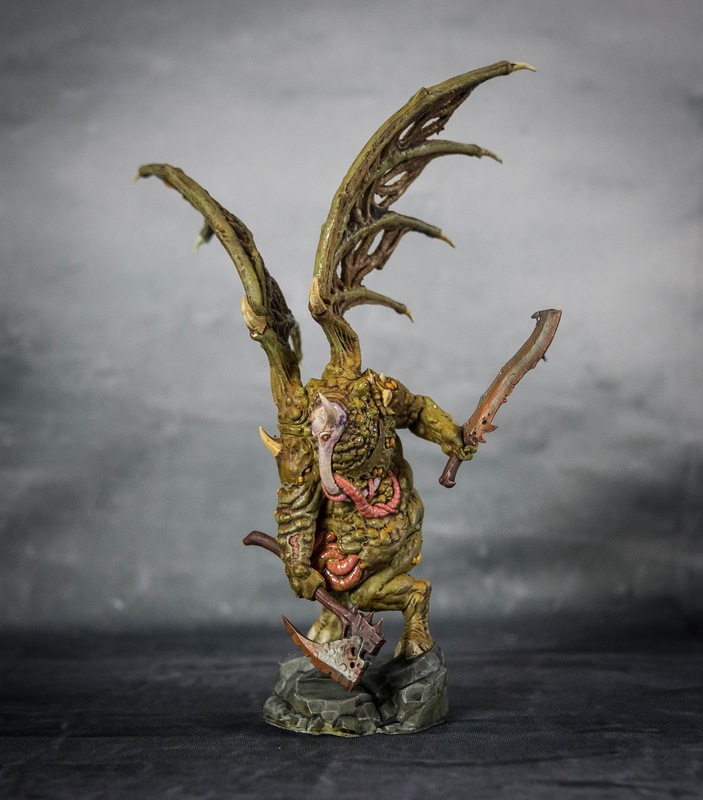 I had been looking for a while for a good model to act as a Nurgle Daemon Prince to go with my growing Death Guard army. 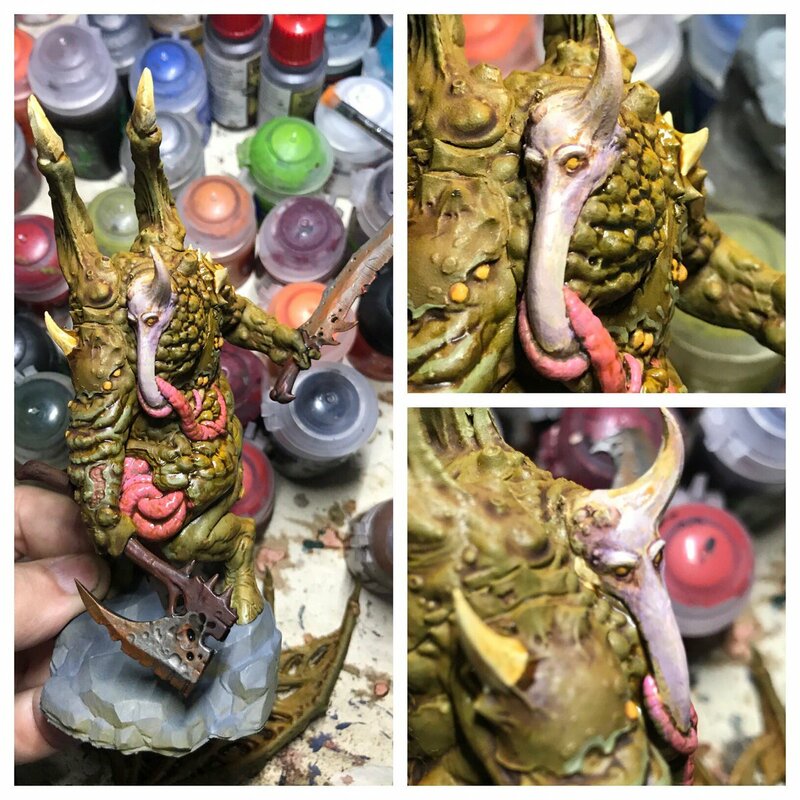 Then someone pointed me towards the creations of Creature Caster and I found exactly what I was looking for! 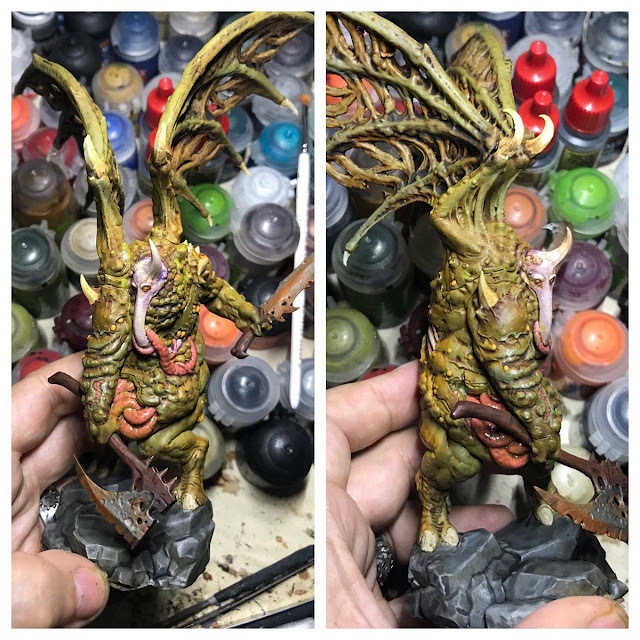 Ok, strictly speaking he is slightly larger than a regular Daemon Prince, but he's not any larger than Mortarion, so I'm happy with adding him to the ranks! The standard of the sculpt is pretty good, with lots of nice little details. 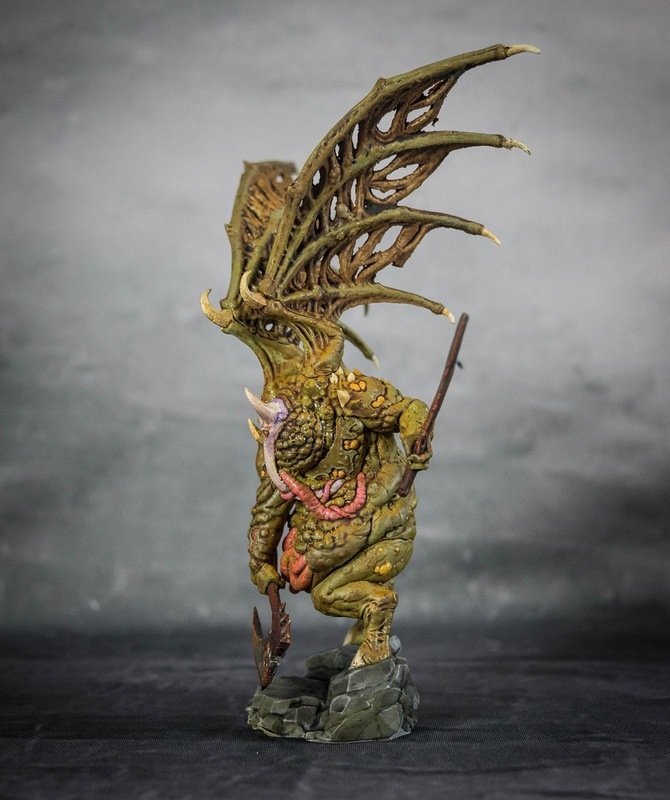 Not quite up with the best of Games Workshop's recent work, but it's still an imposing and well sculpted model. I went with another slime / pox theme for him, but picked out the head with a paler pallid scheme to give it some focus. He comes with options to build him with a variety of weapons and you can also choose to build him with or without the wings. Overall I was really happy with how this one turned out!